I’m somewhat new to quilting. Though quilting has always been a part of my life, as my Mom quilted, and my sisters quilt, it’s only been within the last 18 months that I’ve been immersed in the happiness making quilts. Back in the mid-90s when my girls were little (like 2 and 5) I started working on my first few quilts. Part of this was because my sister Mary had recently started Thangles, and all her quilting excitement rubbed off on me. 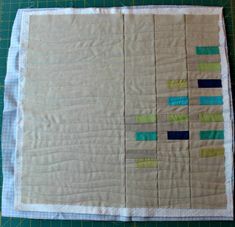 But the quilts I was working on were too “technical” for me……like the Irish Chain Quilt. I got discouraged, and all was eventually tucked away. Today my quilting leans more modern quilting than traditional quilting and one of my favorite “techniques” for piecing quilts, is what many call improv quilting. 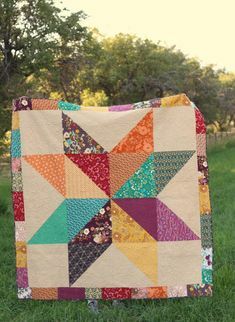 This type of quilting is not about straight lines and perfect HST. It’s no rules quilting. 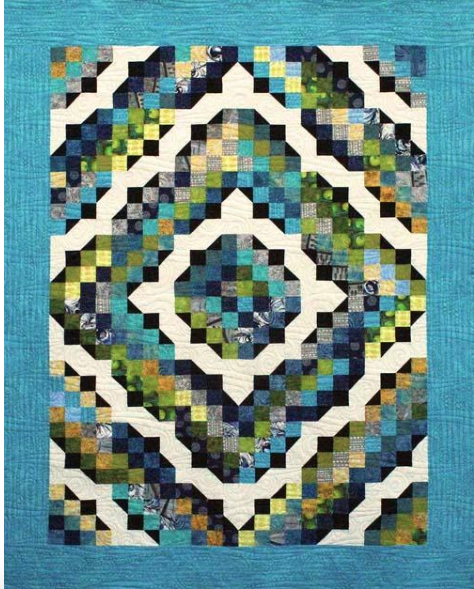 This quilt design has been so much fun to create, as it’s all improv quilt piecing. Each block is it’s own little masterpiece. As I’ve done with other quilts that incorporate photo images, I first use an App on my iPhone to convert the photo into an artistic design aka Photo-Design. The App I used for this quilt design creates a “watercolor-splash” design with the photo, in one color tone. 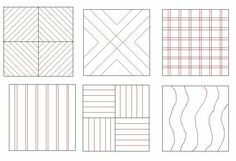 Below is the collage of the 9 Photo-Designs that I uploaded Spoonflower for printing. You can read more about that process in this tutorial post. Each block in this collage will be used for an improv quilt block for the Selfie Quilt I am working on. I hope to have the Selfie Quilt pattern done soon and so excited to share this fun modern quilt design with others.